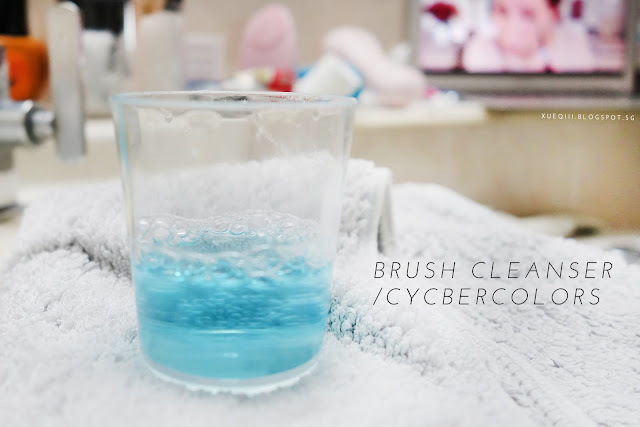 I am currently using up my Cyber Colors Brush Cleanser that I got from Sasa for my mildly dirty brushes - any liquid brush cleanser will do. 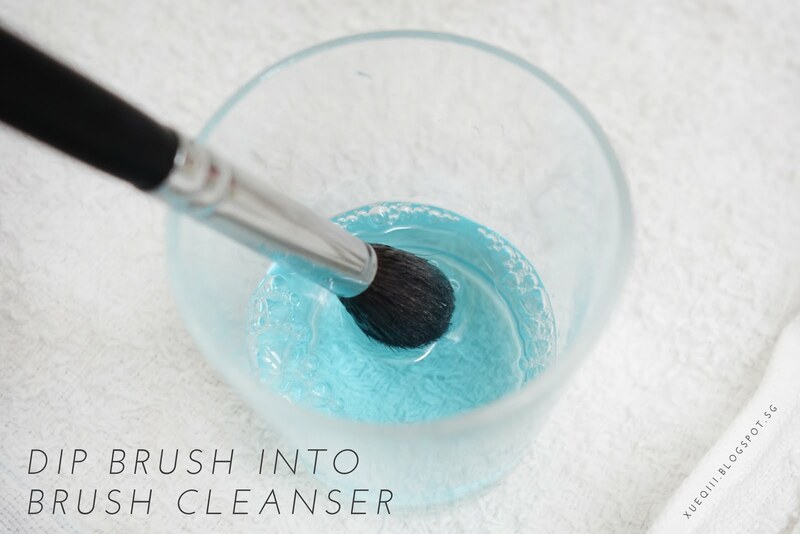 For the dirtier brushes and my beauty blenders, I use the Liquid Beauty Cleanser. I recently discovered that the solid version is much more convenient and I will be switching to that in the future. Also, I realized that a normal bar soap actually works very well too! I discovered this while I was traveling; I used the hotel bar soap to wash my beauty blender and it worked out amazingly well. I'll first pour the cleanser into the cup that it came with. Swirl it around my fingers to remove the dirt and makeup a few times and rinse it clean with water. 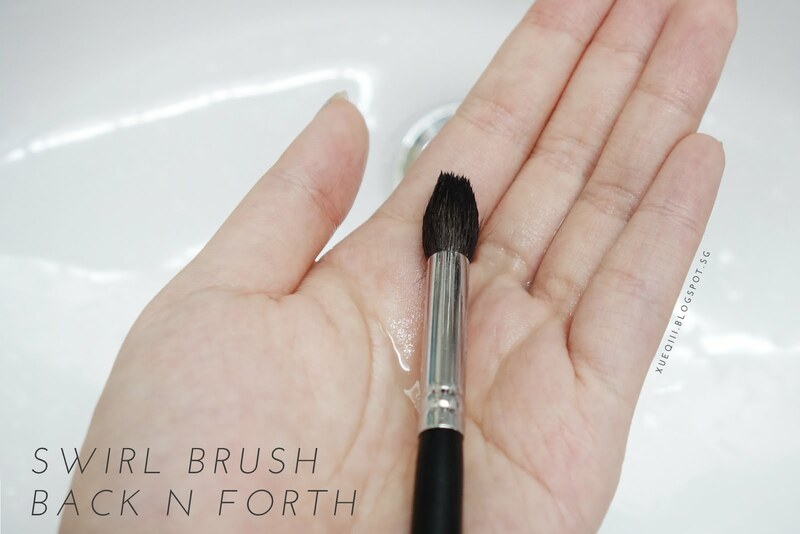 Add some water to the dampen brush to help it lather up. 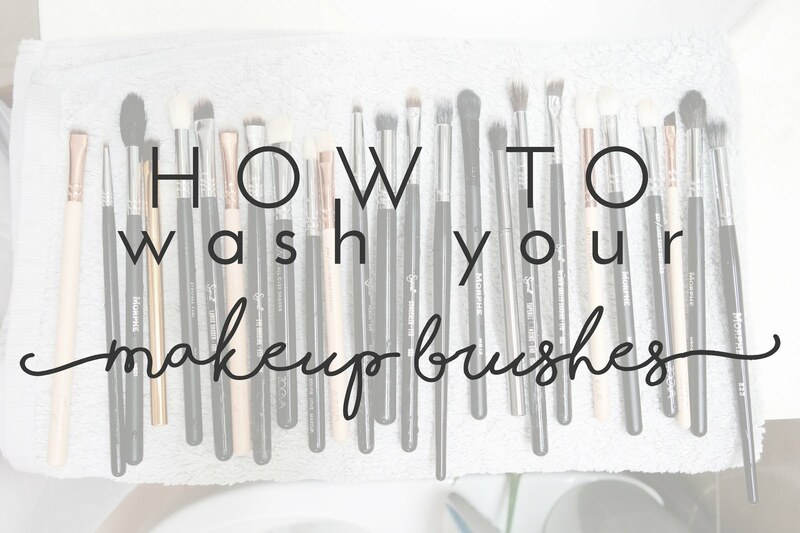 Lather, rinse and repeat with all brushes. That's pretty much it! Lay them out to dry. 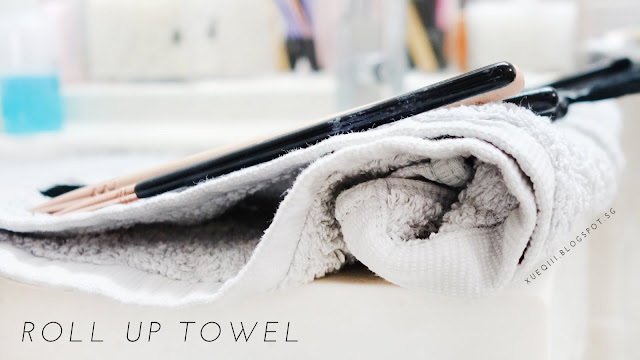 Note: To prevent the water from flowing down into the brush and causing the hairs to loosen, I highly recommend rolling up the towel on one end and placing the brush downwards in an incline. Many years back, I used Michelle Phan's way of washing by mixing olive oil and dish washing soap. I tweaked it a little as I didn't have olive oil on hand and used a mixture of baby oil + makeup remover + dish washing soap. Well, not sure if my concoction is the problem but it cause some of my brushes to fall apart and the hairs just came off. Also, it took super long to fully dry and some brushes remain quite oily. 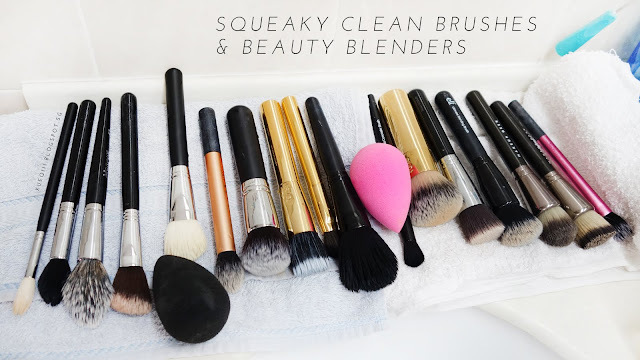 I am super lazy when it comes to cleaning but it is so so important to keep my brushes clean! I have found what works for me and have doing this for quite a while now. I do switch the brand of cleanser around now and then but the type of product I use remains pretty much the same. Will be sure to do an update if it changes down the road. Remember to clean your brushes!